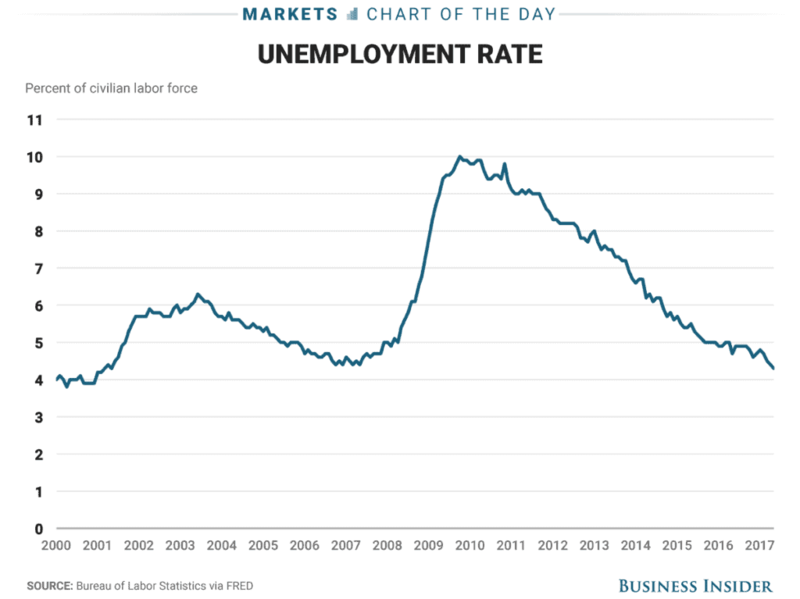 Let’s face it: This has been a long, slow, jobless economic recovery. We have noticed it in the executive search and recruiting industry. Ever since America’s economic downturn reached its nadir, economists — the optimistic ones, anyway — have touted each year as THE ONE that the job market would bounce back. Yet while Wall Street rebounded, Main Street suffered. Economists are feeling good about the recovery. Here are 3 reasons why. Unemployment is Down. Way Down. This year unemployment dropped to 4.3% according to the Bureau of Labor Statistics. The rate is a 16-year low. Check out the chart below from Business Insider. 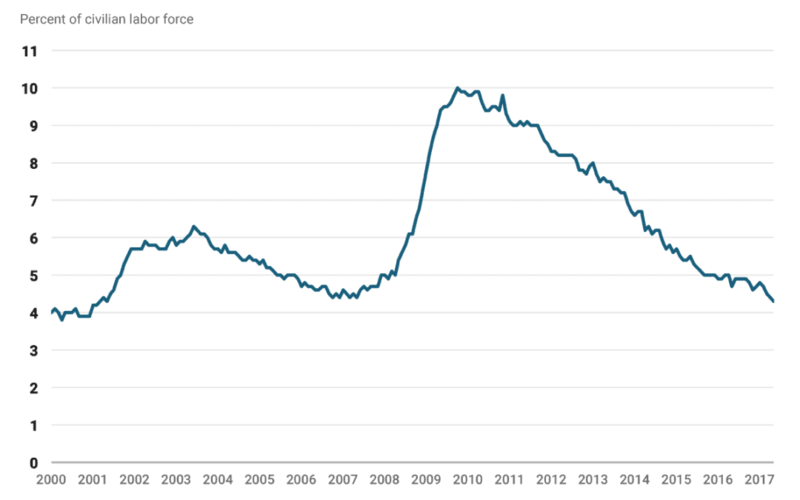 If you look at a broader unemployment rate including people who are working part-time who’d prefer full-time jobs, the percentage fell to 8.4%, its lowest level since November 2007. We’re finally back to where we were a decade ago. Oil Prices are Down. Way Down. 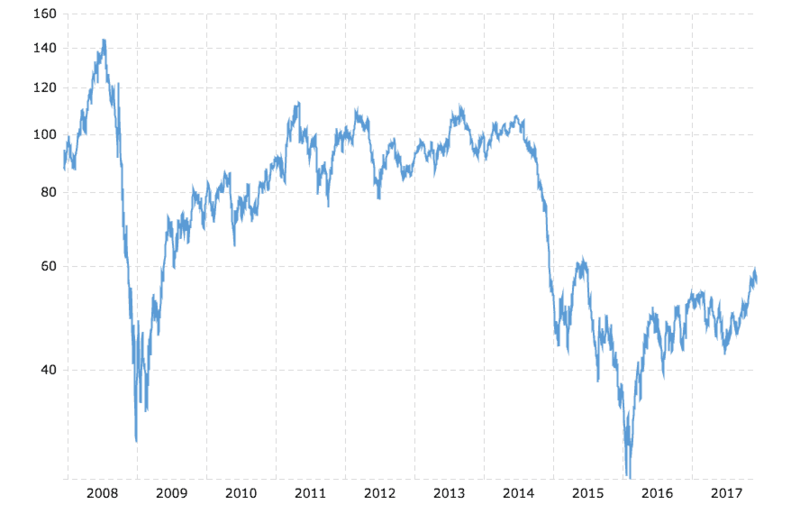 Oil prices are down, and that’s a good thing. Every time consumers fill ‘er up at the gas station, they’re reminded the economy is better. They have ten or twenty extra dollars in savings per tank to show for it. GasBuddy.com reveals Gas Prices are nearly half what they were a few years ago. Households and businesses alike are benefiting from cheaper gas. More expendable income means more spending. Housing starts are up. Way up. Know what houses have to do with jobs? A lot. When the economy grows, people buy homes. 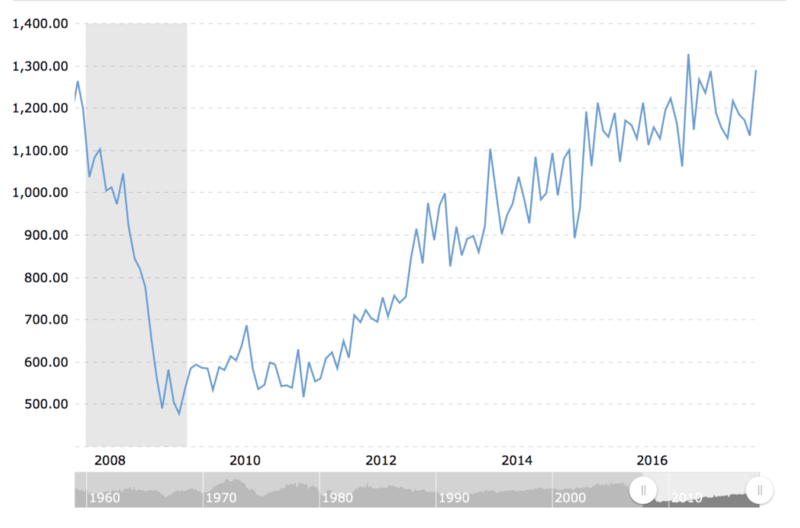 When people buy new homes, they create construction jobs. It’s a strong indicator. Bottom line: If the economy really is healing, companies are hiring. And if companies are hiring, we are helping them find top talent, working our executive recruiting magic. It’s a good thing all around, and we’re as optimistic as the economists. If you like the post, please share it with your friends, so more people can enjoy it.